Notes Fits trucks with 78.70 in. bed. 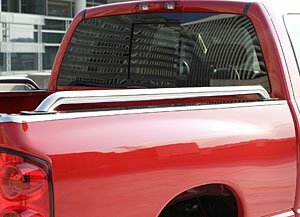 DeeZee EC2 Stainless Side Rail is designed support truck bed sides. It is made from chromed steel which ensures extreme durability. This rail mounts into stake pocket holes and requires no-drill installation.